Lana is coming to the first Lolla in Stockholm, Sweden, next summer - I think I’ll have to go, it’ll be in my hometown after all! Cheapest ones available are about 1900 SEK (~€190). What's up with all the lineups for Lolla's next year being weak af? Um, what the heck, the only tickets available are for kids or a ridiculously prices platinum ticket for 20 000 SEK... lmao, bye. At least it seems like I'm not the only one who can't buy ordinary tickets. Edit: the ticket page was fixed a few minutes later - can't wait to see Lana next year! Revealed a few minutes ago: Lana will perform on Friday, June 28th. They added one more day to the festival too. Get the 20 000 SEK ticket with massage and exclusive toilets of gold or something. Ah, no, I just wanted to joke about the ridiculous price. Sorry. Oh ok, I wasn’t sure if you were. 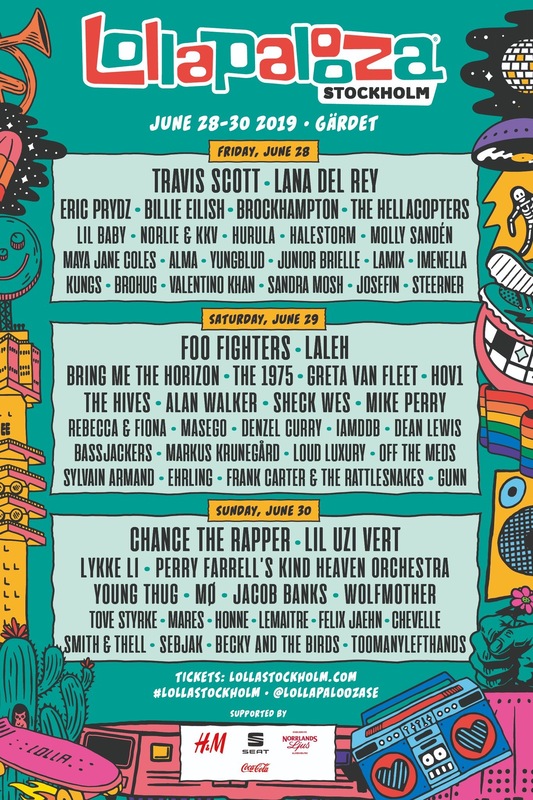 Lana, Chance and Lykke on one festival, that's cute.